Pulitzer Prize-winning poet and former U.S. Poet Laureate Rita Dove will give a free reading at on campus Feb. 28 for the acclaimed Raymond Danowski Poetry Library Reading Series. Photo by Fred Viebahn. Pulitzer Prize-winning poet and former U.S. Poet Laureate Rita Dove will give a free reading at Emory's Schwartz Center for the Performing Arts at 4 p.m. on Sunday, Feb. 28. Tickets are not required, but seating will be limited. Books and a limited-edition broadside will be for sale at the reading, with a signing immediately after. This will be Dove’s second reading (her first was in 2007) in the acclaimed Raymond Danowski Poetry Library Reading Series, now in its 11th season. Since its debut in 2005, the series has brought a wide range of acclaimed contemporary poets to Emory’s campus, including Lucille Clifton, Mary Oliver, Billy Collins, Natasha Trethewey, W.S. Merwin, Seamus Heaney, Paul Muldoon and Sharon Olds. Dove also delivered the keynote address at Emory’s commencement in 2013, where she received an honorary doctor of letters degree, and was a featured speaker and guest during Women’s History Month events at Emory in 2011. Dove served as U.S. poet laureate from 1993 to 1995 — the youngest person and the first African American to hold that title — and as Virginia’s poet laureate from 2004 to 2006. Her work is known for its lyricism and beauty, as well as its sense of history and political scope. She often writes about other art forms, such as music in “Sonata Mulattica” and dance in “American Smooth.” Her books of poetry include “Thomas and Beulah,” which won the 1987 Pulitzer Prize for poetry, and “On the Bus with Rosa Parks,” a New York Times Notable Book of the Year and a finalist for the National Book Critics Circle Award. Among her many other honors are the 1996 Heinz Award in the Arts and Humanities and 1996 National Humanities Medal, the 2009 Fulbright Lifetime Achievement Medal, the 2009 International Capri Award, the 2011 National Medal of the Arts, and the 2014 Lifetime Achievement Award from the Furious Flower Poetry Center at James Madison University. She has received 25 honorary doctorates, including the one from Emory. Dove is Commonwealth Professor of English at the University of Virginia, where she has taught since 1989. “Rita Dove is not only one of our finest poets, but one of our most influential. Her vision, captured early on in works like ‘Museum’ and ‘Thomas and Beulah’ and more recently in ‘Sonata Mulattica,’ links personal and public histories, revealing the ways that the untold story can be the real one,” says poet Kevin Young, curator of literary collections and the Raymond Danowski Poetry Library at the Rose Library and Charles Howard Candler Professor of English and Creative Writing. “As two-term poet laureate of the United States, Dove also helped redefine the role, championing poetry as a force in culture — and helping make that come true,” Young adds. The Raymond Danowski Poetry Library contains rare and first editions of Dove’s published work. Dove was a significant influence on poet Natasha Trethewey, 2012-14 U.S. poet laureate and the Robert W. Woodruff Professor of Creative Writing at Emory University. 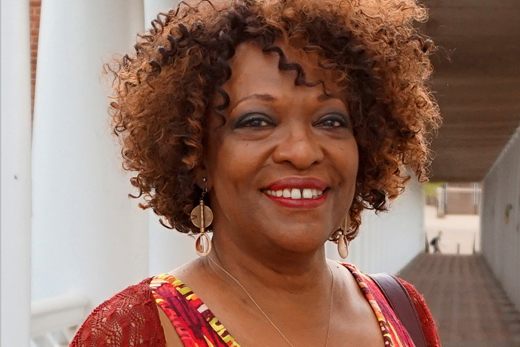 Rita Dove selected Natasha’s first collection, “Domestic Work,” as winner of the inaugural 1999 Cave Canem poetry prize — and that collection “was the book I wrote after being so deeply influenced by her work,” Trethewey says. The Feb. 28 event is sponsored by the Hightower Fund, the Rose Library, the Creative Writing Program at Emory, and Emory Libraries.